If you take your style seriously, go for polished style in a black fur collar coat and black flare jeans. 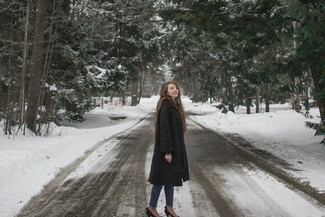 Dress in a Chloé black fur collar coat for a ridiculously gorgeous look. Add a pair of black leather oxford shoes to the equation and off you go looking fabulous. This combination of a black fur collar coat and red wide leg pants is the picture of sophistication. Our favorite of a multitude of ways to round off this outfit is with tan leopard suede pumps. If you're on the lookout for a laid-back yet seriously stylish outfit, team a Chloé Removable Fur Collar Coat with navy skinny jeans. Introduce navy suede ankle boots to the equation for maximum impact. Teaming a black fur collar coat and black leather skinny pants is a surefire way to inject glamour into your current collection. Rock a Chloé black fur collar coat with navy skinny jeans to achieve an incredibly chic look. Introduce a pair of black suede pumps to the mix et voila, your ensemble is complete. 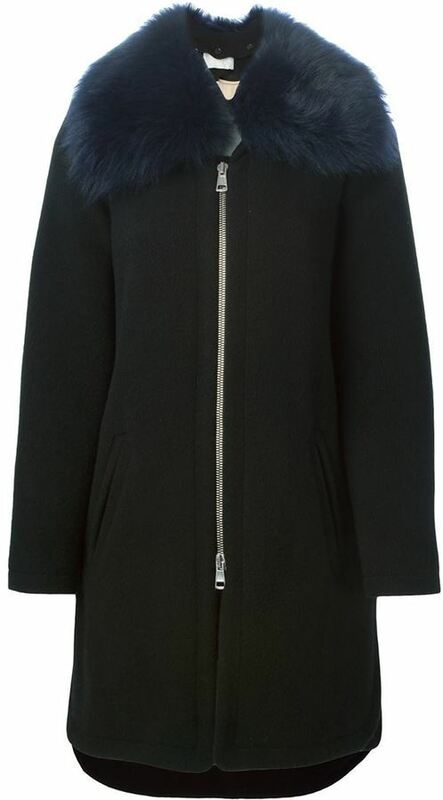 Dress in a Chloé Removable Fur Collar Coat from farfetch.com to look truly phenomenal. This ensemble is complemented wonderfully with a pair of black suede pumps.